Charles is enthusiastic, well-resourced, and intelligent. He understands the market, Fairfield County, and people. His clients appreciate his ability to utilize technology, market their homes, and work efficiently. His positive attitude coupled with his affinity for Fairfield County makes him a success. Charles graduated from Boston University with a degree in Business Administration. Dedicated to extensive quality marketing of residential properties and providing each homeowner with the confidentiality each personal real estate portfolio deserves. Continued leadership with Coldwell Banker in aggressive marketing strategies through internet and print media. Continued consultant and management advice for long-term client relationships-extended beyond the point of sale. Specializes in creating a specific Marketing Plan for each property in order to maximize exposure. 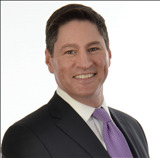 Recognized in Fairfield County, CT for his expertise and success in the Marketing and Sale of High-End Properties. 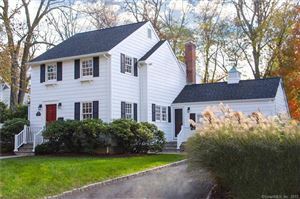 Local insight and knowledge into the Fairfield County, CT community gives him a unique advantage when it comes to locating the ideal home for each buyer he represents. Highly likely to recommend Bought a home in 2011. Local knowledge: Process expertise: Responsiveness: Negotiation skills: LOVED working with Charlie-- He helped me navigate the world of first-time buying and it was smooth, thanks to him. Would highly recommend him. Highly likely to recommend We were very lucky to have had to the chance to work with Charlie. He is knowledgeable, hard working and makes you feel as though you are his only client. 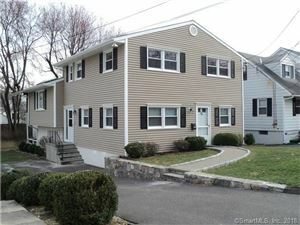 We moved down to Greenwich from Boston and had been renting an apartment until we were ready to buy a place. We looked at around 30 homes with Charlie, and he came to each one prepared, focused and full of energy - regardless of time or day of the week. We work all day, so often had to see places at night or on weekends. I can't think of one question I had that he was unable to answer, often bringing items to light that we would have otherwise missed. We are in the process of buying a place now, and couldn't be happier with the knowledge he brought to the buying process and the referrals he has passed on to us. I would absolutely recommend Charlie to anyone in Fairfield County. He chose the right industry and is very good at what he does. You will not regret it. I will be using him again. 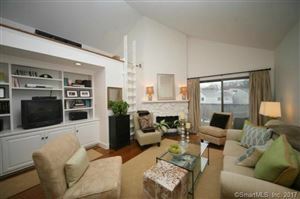 Highly likely to recommend Charlie is SUCH a great Real Estate Professional! He got us into our first home! I agree with another reviewer. He made us feel as though we were his only client! He took us seriously, gave us great guidance but also listened to our ideas as well. He also has TREMENDOUS recommendations for real estate lawyers and mortgage brokers. He is sincere, has a GREAT personality and truly loves what he does! Highly likely to recommend Charles helped us purchase our first home. From day 1 he had a listening ear to try to match exactly what we were looking for. He proved to be very knowledgeable, patient in our dealings. He also assisted us in finding the right help to make upgrades/improvements to our home. We definitely plan to work with him in future. 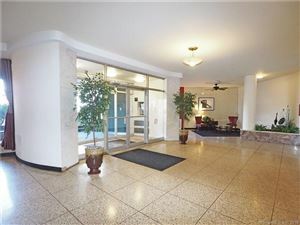 Highly likely to recommend Working with Charlie to find my first condo was such a pleasure. He was very patient and not at all pushy. He guided me through the home buying process with ease. He was very responsive, following up immediately with an email or phone call to answer any questions or concerns I had. His pleasant personality and positive attitude always came shining through. He is an honest, genuine and hardworking person who always goes above and beyond. Charlie is the best! I would highly recommend him to anyone who needs a real estate agent. Highly likely to recommend We bought our first home and our investment property with the help of Charlie Nedder, his knowledge of the real estate market gives him all the leverage to find, deal and close the property we were looking for. He's a great real estate professional! Highly likely to recommend Charlie was a complete pleasure to work with. I was relocating from Atlanta to Greenwich Connecticut and had contacted him prior to my arrival here with specific details about what I was looking for in a home. Once I arrived, he had already sourced out multiple locations for me to view. He was kind, considerate and professional on every level. I would highly recommend Charlie for all your housing needs, whether it is buying, selling or renting, he truly has your best interest in order. Highly likely to recommend Thank you for giving me chance to write what I experienced for last more than 7 years since I have Charles Nedder as my agent helping me to rent an apartment in Stamford, CT 06901. He is one of the best professionals in all of the industry. He is a very responsible person for his job. He make sure you will get good tenant paying on time through very diligent work. Also, he will help you to make sure all of the condition in apartment good for a new tenant by helping to work with contractors who can help. Also in transition with both old tenant and the new tenant, he makes sure the transition is very smooth. Working with him is really wonderful experiences. It saved me huge time spending on any transition between old and new. Thanks so much for the greatest services I received. Highly likely to recommend Charlie was excellent to work with when relocating back to Stamford and purchasing our current home. I have to agree with other reviews, that he made us feel as though we were his only client and we spent 12 uninterrupted hours in one day looking at homes throughout the area. Our wish list was completely unreasonable in terms of home amenities, square footage, location, etc. at a lower price point, however, Charlie found us a number of great options to look at. 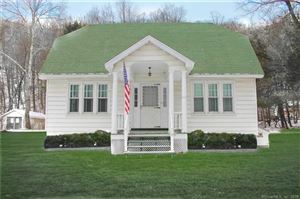 I completely dismissed our current home due to misinformation within the listing and Charlie insisted that we take a look, which I am grateful for as the home and neighborhood have served our family well. Highly likely to recommend I am a very tough critic. This is a major life decision to purchase. Therefore you want someone to represent you that is the best at what they do. Most real estate agents have this as their side job. Charles lives and breathes real estate. We were a couple on a fixed budget and probably one of Charles' less affluent clients. We never felt that way though. Charles treated us as if we were his only clients (have to love the personal service). Charles worked diligently and assured us he would find us something in our range and with our specifications. He delivered and made himself available for all our questions (we had a lot, it was our first time). I would recommend Charles to anyone. Highly likely to recommend Charles came in and sold my home in two weeks where others failed. I had four offers right away and sold my house my house for almost a sale price. He was very professional and nice. I would recommend him to sell your home. I could not happier. Highly likely to recommend Charlie worked with me for 2 full years before I was in a position to purchase a home. He knew that I wanted to educate myself on the marketplace and he knew that he would be spending hours with me for a long duration before any chance of closing a sale. And yet, he treated me as if I was his ONLY client, his MOST IMPORTANT client and was professional, knowledgeable, thorough and patient throughout. I have recommended him to several friends and colleagues and when I sell my home, he is the ONLY call I am making. Highly likely to recommend We have worked with Charlie Nedder twice over the past 7 years. Charlie flat out knows the Fairfield County market - top to bottom. His advice to us as both a buyer and a seller of a home has been sound and accurate. Charlie is smart, focused and highly responsive. He navigates the inevitable hiccups in selling/buying a house with the utmost poise. We highly recommend Charlie. Highly likely to recommend Charlie was expert in helping us find exactly what we wanted, even when we were not exactly sure what that was. He is the most patient person in the world. He took us to see many different kinds of places and was always available when our schedules were open. My husband looks at the practical side, wanting space for his tools and newer construction. I'm the dreamer and decorator. Charlie considered the interests of both of us and made a point of sharing both the pros and cons of places and locations with our preferences in mind. My dream came true with a condo on the beach. I didn't even know that could be affordable in the Northeast. My practical husband didn't even mind a few repairs. I attribute our satisfaction and happiness to Charles Nedder and his extraordinary understanding of people. He is absolutely the best realty professional you will find !!!! 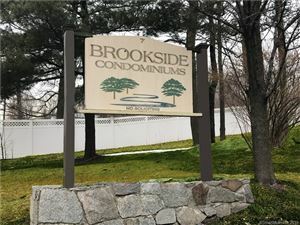 Connecticut listings last updated Apr 18, 2019 1:13:pm.